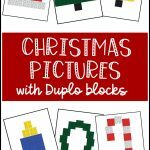 Christmas is around the corner and I have a fun matching activity for your little ones to try! 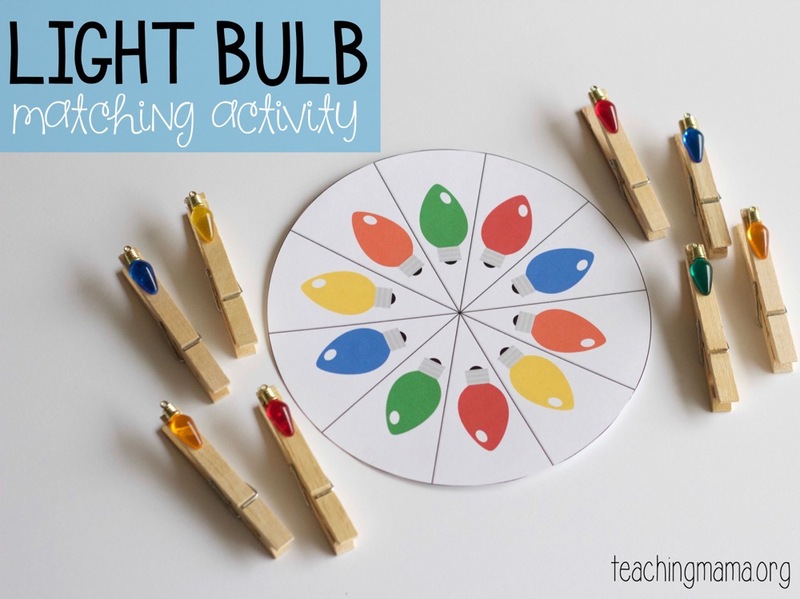 This light bulb matching activity is a fine motor activity, so children are building hand strength which will help them with handwriting skills. 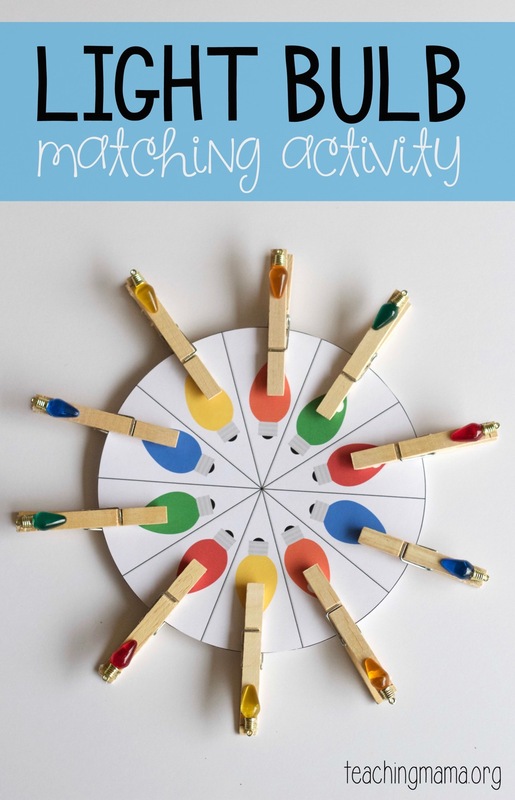 Plus this game practices matching colors! 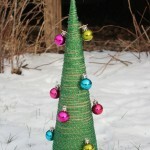 Start by gluing the light bulbs onto the end of clothespins. I like to use a hot glue gun because it’s fast and stays on really well. You can also use stickers or draw a color dot if you don’t have the mini light bulbs. 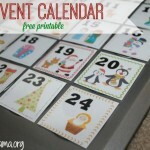 Print the printable onto card stock paper. Cut out the wheel and laminate, if you’d like. 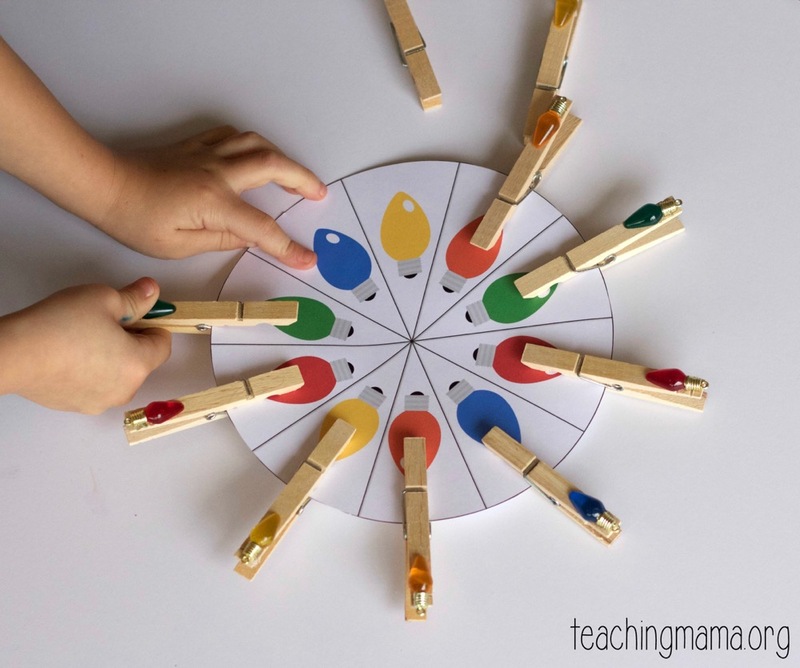 After you have everything ready, invite your child to match the light bulb clothespins to the wheel. The movement of squeezing the clothespins with their fingers or hand helps build hand strength. This is so important to develop and will help with scissor skills and handwriting down the road. I love how easy this is to set up! 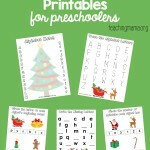 You could also use this as a busy bag or quiet time activity. 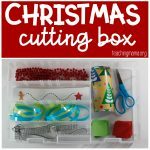 Simply place the materials into a gallon-sized Ziploc bag and you have an easy busy bag! Hope you’ll try this activity out!